The Edmonton Kingsway Area is steeped in history. Originally part of the Bay reserve…In 1939, over 90,000 people lined the route on Portage Ave to see King George VI and Queen Elizabeth (now known as the Queen Mom). More than three kilometres of bleachers were constructed along Portage Avenue, which was renamed Kingsway after the King and Queen’s inaugural drive. 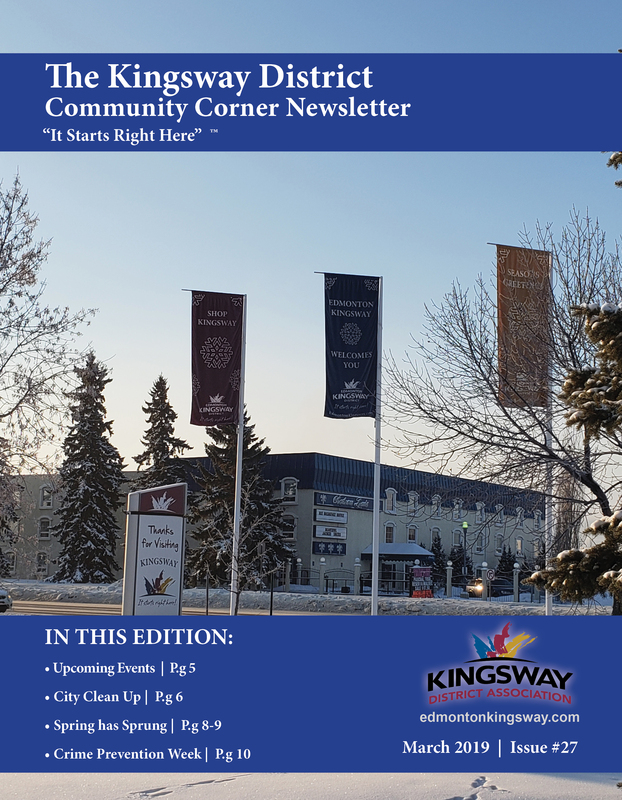 Since that time Kingsway has become the Edmonton Kingsway’s main street. Edmonton Kingsway is close to downtown conveniences but without the downtown hassle or hustle. Edmonton Kingsway was also an aviation hub. The aviation history goes back 85 years when the land just north of the Avenue became known as Blatchford Field Airport. The Blatchford Field was the first licensed municipal airfield in Canada. The neighbourhood is bounded on the north by the Yellowhead Trail, on the west by 127 street, on the east by 121 Street, and on the south by 118 Avenue. At the south east corner of the neighbourhood, 118 Avenue turns south east and becomes Kingsway Avenue. One residence in eight (12.8%) were constructed, according to the 2001 federal census, before 1946. Seven out of ten (70.6%) were built between 1946 and 1960. The remaining one in six residences (16.5%) were built between 1961 and 1980. The most common type of residence in the neighbourhood, according to the 2005 municipal census, is the single family dwelling. These account for four out of every five (79%) of all the residences in the neighbourhood. Almost two out of every five residences (17%) are duplexes. A small proportion of residences (3%) are rented apartments in low rise buildings with fewer than five stories. Two out of every three residences (64%) are owner occupied with one out of three residences (36%) being rented. A triangular neighbourhood, Prince Rupert is wholly contained within the old Hudson Bay Company land reserve. During the great pre-World War I land boom, the Company decided to subdivide a portion of this property. In preparation for subdivision, Portage Avenue was paved and street car tracks were laid down. The avenue was later renamed Kingsway in honour of King George VI’s visit in 1939. For several decades, traffic on this broad thoroughfare passed by the largely rural lands of Prince Rupert. Until the late 1940s, the neighbourhood contained a farm and a golf course. The post World War II housing boom quickly converted the remaining open lands in Prince Rupert. Mixtures of housing forms are located in the neighbourhood’s centre and cluster around a school and small commercial plaza. Large scale commercial and industrial land uses are situated west of 119 Street. The large block of land east of 119 Street and north of 114 Avenue at one time housed the families of military personnel. In eastern Prince Rupert, the approach path to the Municipal Airport’s runway No. 34 was kept largely clear of residences and reserved for recreational land uses. This neighbourhood was named after the Prince Rupert Golf Course which was operated by the Hudson’s Bay Company (HBC) on its reserve property between 1930 and 1951. The golf course, and subsequently the neighbourhood, was named after the first governor of HBC. Prince Rupert was the nephew of King Charles II and was given a royal charter that enabled him to engage in fur trading. His trading area was known as Rupert’s Land. Spruce Avenue’s central location has attracted an impressive variety of land uses. The neighbourhood contains Kingsway Mall, a regional shopping centre that competes with the downtown commercial district. The Northern Alberta Institute of Technology (NAIT), the city’s second largest educational facility, has a portion of its campus within the neighbourhood. Another major land use nearby is the City Centre Airport/Municipal Airport located just to the northwest of the neighbourhood. The neighbourhood also contains the Glenrose Hospital (the original Royal Alexandra) which was one of Edmonton’s largest until its replacement was built south of 111 Avenue. Namayo Avenue (97 Street) and 1st Street (101 Street) were principal thoroughfares for individuals traveling between Edmonton’s downtown and destinations to the north. As a result the neighbourhood’s oldest residences are located along these streets; newer residences are situated in the western portion of the neighbourhood. 97th Street remains one of Edmonton’s most important north south thoroughfares today, and it connects northern Edmonton neighbourhoods with the city centre. The residential section of the neighbourhood is oriented along gridiron streets lined with mature elm trees. A central school and park site anchors the residential community and it is separated by several blocks on each side from non-residential land use. Residents have access to a variety of services within the immediate vicinity and also have excellent access to other parts of the city via the major arterial roads that surround the community. In addition to homes, major institutional and commercial facilities, the neighbourhood also contains four schools and six places of worship. The neighbourhood takes its name from the former designation for 114th Avenue which was “114th Avenue-Spruce Avenue.” The avenue was likely named after the prevalent spruce tree which is native to the area. Spruce Avenue Community league was incorporated in 1918 and is a non-profit organization affiliated with the Edmonton Federation of Community Leagues (EFCL). The City of Edmonton recognizes the Community League as the official voice of the residents of Spruce Avenue with regard to civic issues affecting the area. The Spruce Avenue Community encompasses the area North of Kingsway Avenue to 118 Avenue and East of Princess Elizabeth Avenue to 97 Street. The League is managed and operated by a board of volunteers with the goal of promoting and enhancing the quality of life within Spruce Avenue. Membership benefits include a discount for rental of the Westwood Community Hall! Memberships can be purchased by contacting the Westwood Community League or by joining us at one of our Monthly Board Meetings. Please see our Calendar page for the dates and times.